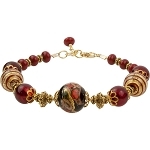 This is an opulent Murano Glass Beads and Swarovski Pearl 3 strand bracelet. 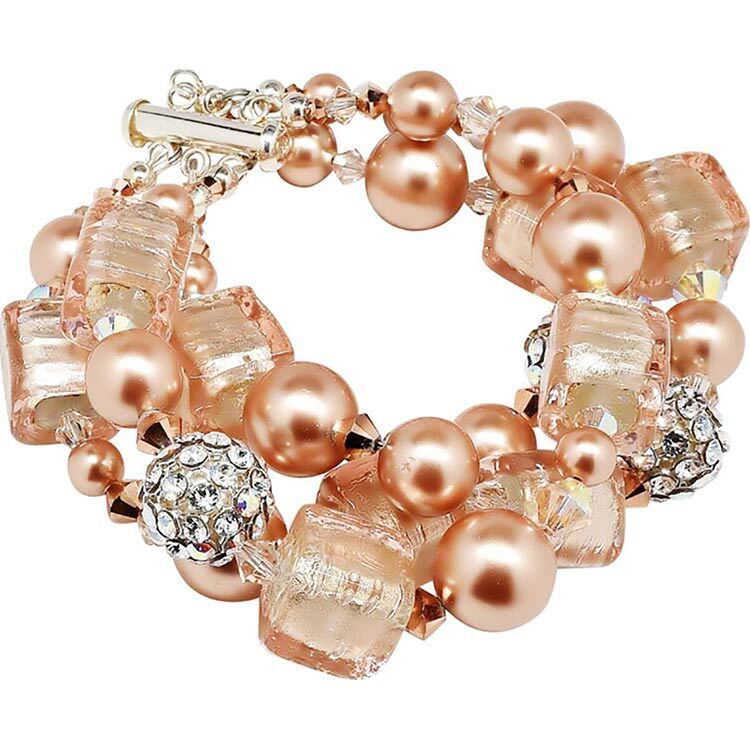 Yet totally understated in authentic Pink Murano White Gold Foil Beads, Swarovski Pearls and Crystals and large crystal balls with a Sterling Silver tube clasp, a great neutral tone. 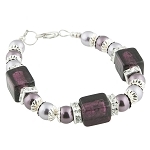 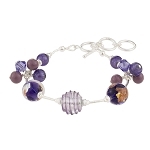 The size is approximately 7.5 Inches with a Sterling Silver tube closure. 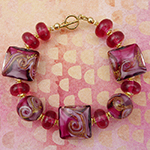 For other sizes, please inquire. 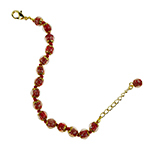 As we hand make each of these bracelets, we can adjust the length. 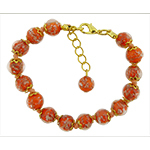 We directly import the Murano Glass Beads and design and assemble the bracelet here in our studio in the US.